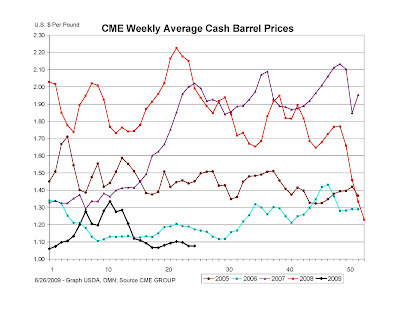 The leading indicators of more favorable pricing are showing light (as examined in the June 15 and June 25 posts to this blog), but the short term remains bleak. Cheese prices for the month of June look absolutely horrible. 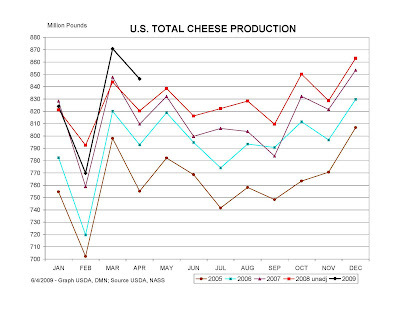 After a slight uptick, the cheese prices have been near support level for the month of June. Production remains at record levels. Inventories remain at record levels. May cheese export and import numbers will not be available for another week. 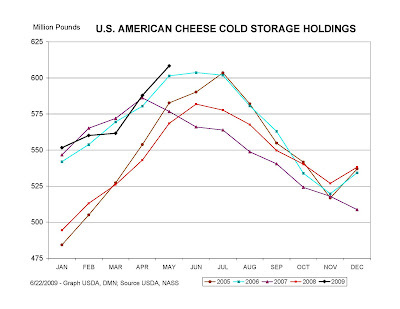 When they are available, it should complete the picture of where cheese prices may be headed in the next few months. One thing is certain, June Class III prices will remain low. 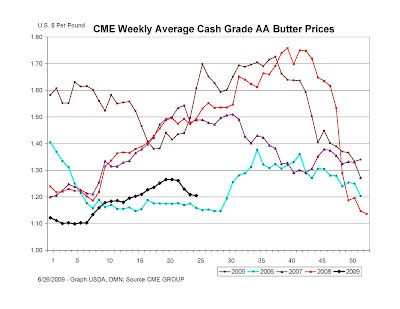 The only item moving is butter, which is downward, which will increase protein prices and lower butterfat prices. Class III component prices will be announced early this week - Thursday, July 2 as July 3 is being recognized as a holiday in observance of Independence Day. A post with the new data and graphical trends will be available shortly after the announcement. When is the Turnaround Coming?